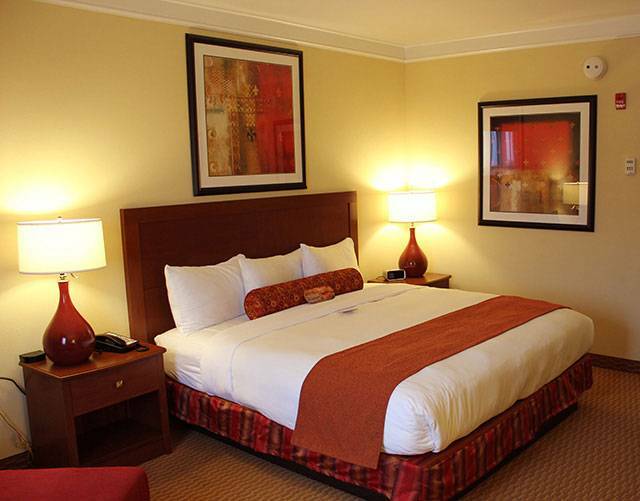 At Mardi Gras, we offer our guests spacious accommodations, modern amenities and luxurious bedding with a classic theme. Depending on your occasion and needs, we offer five types of hotel rooms to choose from for the most comfortable stay possible. Enjoy a magical stay at the Mardi Gras Casino & Resort. 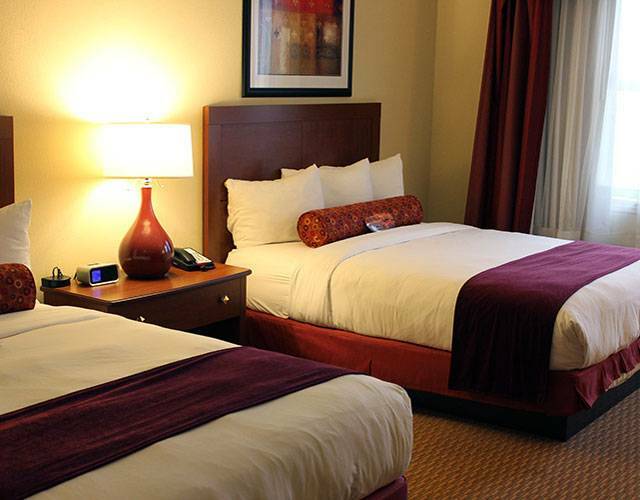 Enjoy the best of Charleston, West Virginia hotels. 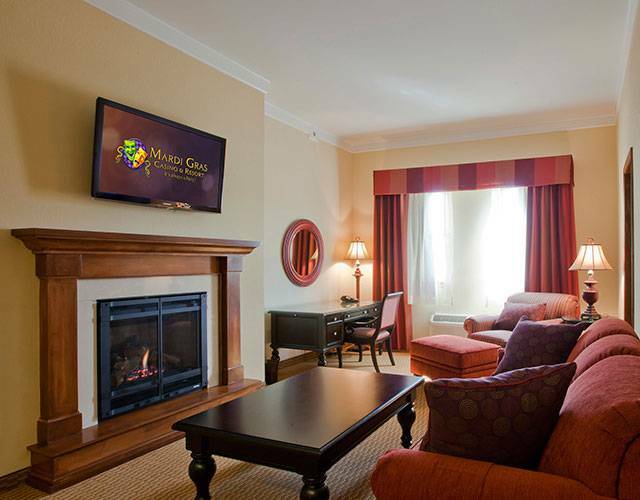 Ask about our line of suites and room accommodations today by calling (888) 789-7829. A standard room that features one king-sized bed lavishly appointed with high-thread-count linens, modern décor, and state-of-the-art technology. The rooms feature a 40-inch television, chair with ottoman, spacious work desk, two telephones, in-room safe, clock radio with iPod dock, iron and ironing board. A standard room that features two queen-sized beds lavishly appointed with high-thread-count linens, modern décor, and state-of-the-art technology. The rooms feature a 40-inch television, chair with ottoman, spacious work desk, two telephones, in-room safe, clock radio with iPod dock, iron and ironing board. 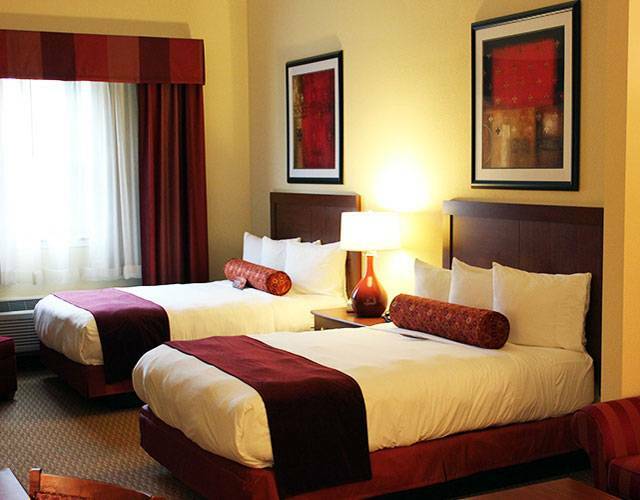 Comfort and class is what you’ll find in each of our 12 queen-size bed Junior Suites. Every Junior Suite comes with two queen-size beds, dressed in the finest linens, 47-inch HD televisions, upgraded bath amenities and an in-room safe. For the ultimate New Orleans experience, book one of our two Presidential Suites. This suite comes with a living and bedroom area, king-size bed, and sleeper sofa, and a select number come with a Jacuzzi and some with dining areas. Presidential Suite residents enjoy full access to the Winner’s Circle Concierge Lounge in addition to a full wet bar and 52-inch HD flat-screen televisions. 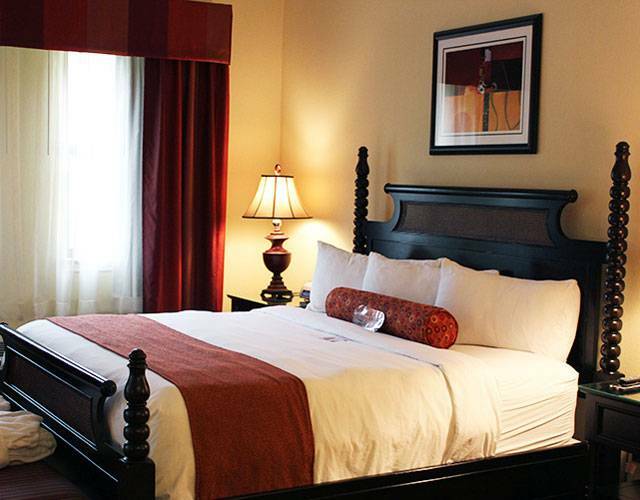 Take in full views of Mardi Gras Casino from your king-size bed, adorned with lavish linens. Each of the seven Executive Suites comes with lavish London bath salts, 47-inch HD televisions, in-room safe and a select number come with a Jacuzzi and some with dining areas.